Our customer had a double length garage and asked us to convert the back half of it so that they could have a family room. 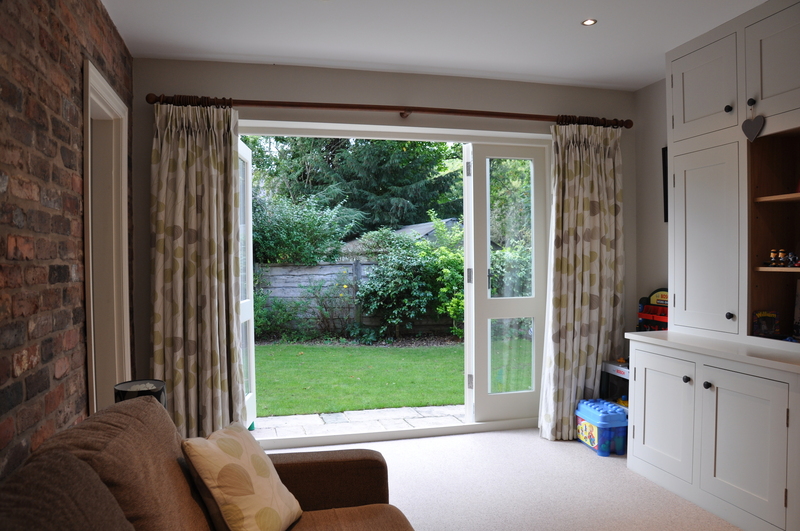 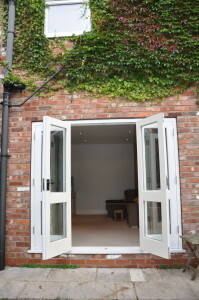 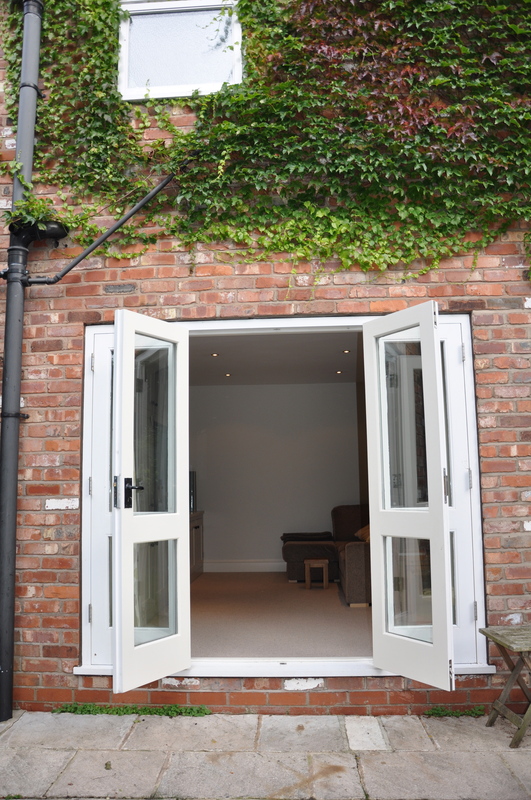 We added bi-fold wooden doors that open on to the garden. 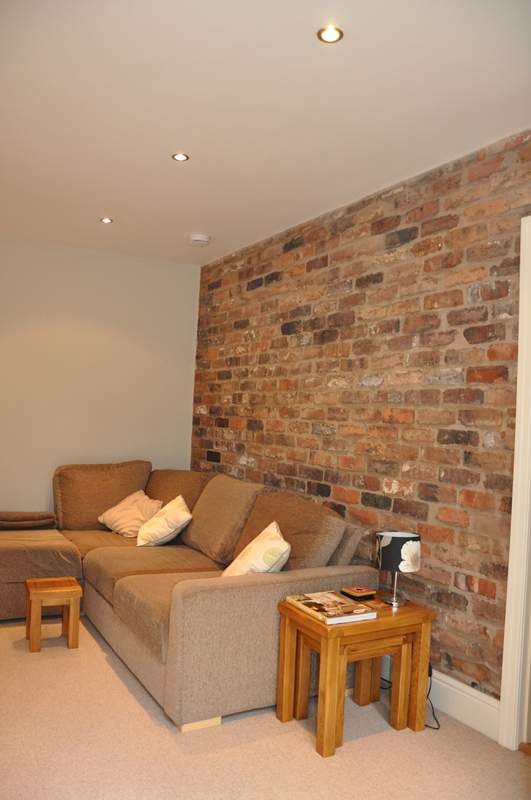 One wall was left with exposed Cheshire brick as a feature. 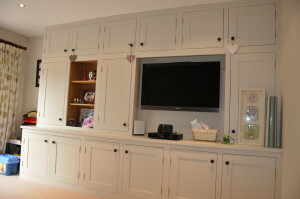 We then created a bespoke media unit to house the TV and games. 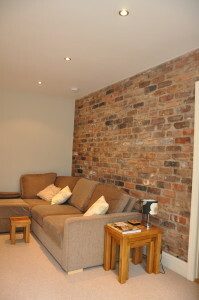 We left one of the walls as a feature as it was made from the original Victorian brick. 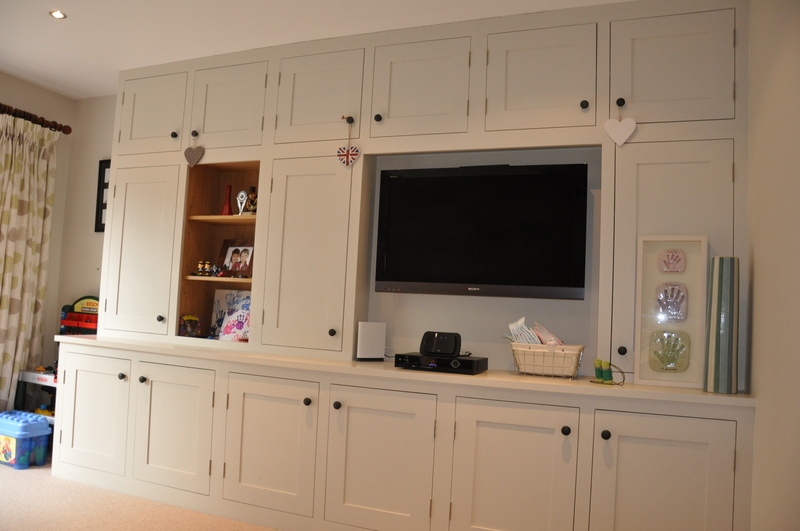 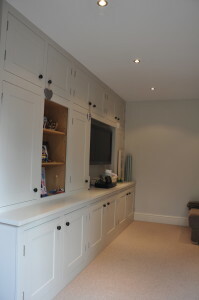 Along the other wall we fitted a bespoke hand painted Media Unit, to house the TV and plenty of storage for toys, books and DVDs etc.